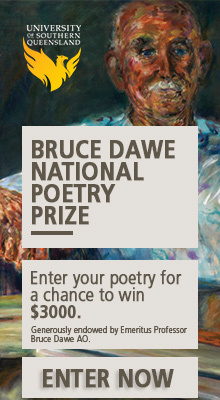 In 2011, I left Perth for Houston, Texas to begin the internationally prestigious Masters of Fine Arts in poetry. As part of my funding arrangement I was offered a teaching assistantship, and at the time I thought this was a great deal. I would gain teaching experience, completely taking charge of my own undergraduate writing classes, while at the same time, I imagined, I would refine my craft. Now I find myself in Houston reading the news of the University of Sydney strikes with a growing sense of unease. Not because I dread returning from the idyll of Houston to the horrors of Australian employment, but because I find myself in precisely the situation the strikers of Sydney are trying to prevent. Our glossy brochures don’t admit this, but around half the undergraduate teaching in Australia is now done by temporary staff … From an educational point of view, it means a mass of teaching done by staff who can’t build up the experience, depth of knowledge, or confident relationship with students that are needed for the very best teaching. At the University of Houston, I am one of these temporary staff. Over 100 of the ‘teaching assistants’ in the English Department responsible for teaching all the required freshman courses. And this is where the other major factor in the Sydney strikes – pay – comes in. As essentially casual staff at the University of Houston, we lack the ability to negotiate our working conditions (something we are trying to change). This is not unique to the University of Houston. A 2012 report on the teaching conditions of adjuncts (temporary/casual faculty) in the USA by the American Federation of Teachers found that ‘1.3 million of the 1.8 million faculty providing instruction in two- and four-year institutions are part-time or adjunct faculty, teaching off the tenure track’. And that many of these were being paid less than the federally set USA poverty line of $11,490. This is certainly the case in Houston where we are paid between $9,600 and $11,200 a year in hand, a pay rate which has not changed since 1993. (We are also offered tuition remission of around $3000 a semester, from which we immediately pay around $1000 back to the university in student fees.) That’s it – for teaching two classes of 27 students a semester, including all grading and lecturing responsibilities. Something else Connell mentions is the increasingly bad staff/student ratios of the past generation. People who taught the same classes in the generation before us at Houston can remember teaching classes of less than 20, while our classes are still taught seminar style: like extended tutorials in the Australian model, requiring us not just to lecture but to design group-work and interact with our 54 students twice a week. In a previous life, while completing my Masters in Criminological Research at the University of Cambridge, I read an academic text that has stuck with me: The New Penology by Malcolm Feeley and Jonathan Simon. Writing in 1992, Feeley and Simon propose that a different type of penology was coming into being – the actuarial, where the focus was not on the individual prisoner but the aggregate; more than this, the financial costs of that aggregate. I see this process as related to the idea of McDonaldisation, as laid out by the American socialist George Ritzer: ‘the [bureaucratic] process by which principles of the fast-food restaurant are coming to dominate more and more sectors of American society as well as the rest of the world’. As well as the rest of the world … this is where I see the University of Sydney and the University of Houston meet. Houston, and many American educational institutions, already entirely operate on a cost/benefit rationale. And just as I can remember when the first Macdonald’s opened up in Perth, I am now seeing this ideology spread to Australia. There is still a big difference between the conditions at the University of Houston and those at the University of Sydney. 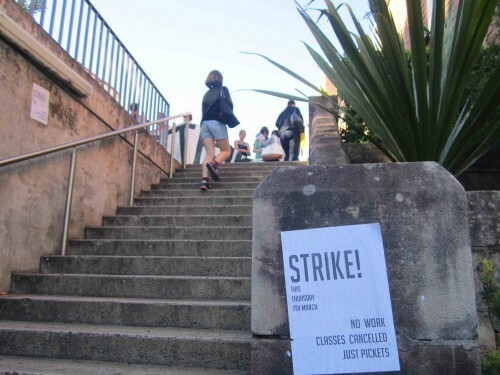 Staff at Sydney are able to strike, for instance. Striking is illegal for employees of the University of Houston, as it is for many universities around America. Nor are we able to unionise. But this hasn’t prevented us from trying to change our working conditions. As the staff of Sydney went on strike, we sent a petition to the university president, and arranged a media campaign (you can see our petition and coverage on the Houston Press). In an age of global influence, I’m hoping that Australia can retain the same primacy it has always placed upon education solely for the sake of education, and that some of this influence can be redirected to those of us working on foreign shores. So I’d like to lend my support to those in Sydney and hope they will lend theirs to ours in Houston. Caitlin Maling is a WA poet whose first collection, Conversations I’ve Never Had, was published in 2015. A follow-up collection is due in 2017. Education should be above politics and price. Politicians need to get behind staff at tertiary institutions and pay them a decent remuneration. Good luck with your petition Caitlin! I am posting a link to book by scientist and academic Donald Meyers on the state of higher education in Australia. This book is an insider’s account of the current state of Australia’s universities. It paints a picture of a system driven by the balance sheet, administered by a mindless and mean-spirited bureaucracy, adrift in a mire of pedagogical pap peddled by Educationalists. It is the story of the transformation of our higher education system from one that delivered a rigorous education, producing highly competent graduates, many of whom distinguished themselves on the international stage, into two-dollar-shop degree factories. The resultant threat to the broad-scale competence of the professions is obvious. In spite of policies for everything: Quality Assurance, Graduate Attributes, Personal Performance Plans, KPIs and myriad managerial fantasies, the fall in standards is undeniable and the extent of institutional dysfunction is staggering. Students, parents of students and graduates are scarcely equipped to critically examine the assumptions underlying these “reforms” and the ensuing impact on education. One of the aims of this book is to redress that shortfall. Not only are university and government education bureaucrats presiding over the destruction of the intellectual fabric of the nation in an era of unprecedented global competition, they are denying a genuine higher education to those Australians with the necessary intelligence, motivation and practical skill to succeed. I enjoyed reading this post. However, many questions come to mind. Where is the sense of history with this post? I’ve been aware of this happening for, at least, the past twenty years. Why are there no wider connections to this history? For example, the incorporation of universities in the late-1980s. Where are the wider connections to the development of neo-liberalism? McDonaldisation? This is just a fey name for neoliberalism. Where is the struggle for more democratic, relevant and militant trade unions instead of the rumps that presently masquerade as trade unions? I support the intentions of this post and the struggle at the University of Sydney, but I’m suggesting a huge widening of the analysis here. This maybe happening on a personal level, but if writing about this particular aspect, I suggest a wider orbit is useful.